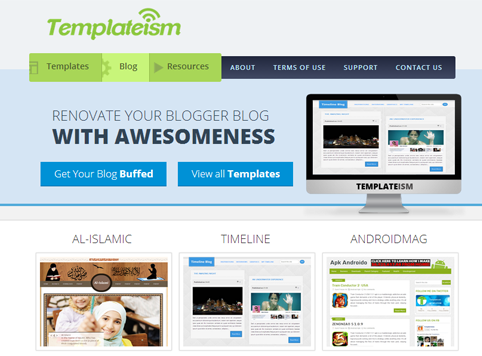 As you can already witness, we have unwrapped the new and improved look of Templateism.com early this morning. Now, if you visit the main site, you would notice a new and exclusive design. After seeing the new design, your reaction would probably be WTF! What happen to this place? Everything looks so different. Don’t get confused, we have just rolled out an update to our design. There were many flaws in our previous design. Now only flaws but a lot of significant information pages were missing including, contact us page and etc. A lot of new users were confused about the fact that how Templateism works, how they can download themes and etc. For that special reason, we have created a short tour guide exclusively for new Templateism.com users. We have also tried to boost up your browsing experience and performance by incorporating some fascinating but light-weight jQuery plugins. In spite of using more than 10 jQuery plugins the page speed of Templateism.com is way better than the 91% websites present on the internet, and the credits goes to both our skilled engineers and Blogger. What are your thoughts about this new fascinating improvement? Since, this design is still a newly developed. Therefore, if you face any bugs while browsing, please take a moment to let us know about the bug using our contact us page. We would really appreciate your gesture.